Transitional and relaxed traditional styles are more popular than ever. 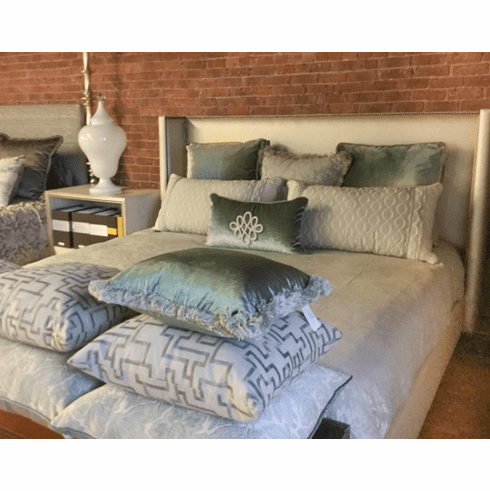 This bedding combines damask in trendy grey color with classic velvet, traditional Chinese closure, and novelty embroidery creating geometric patterns. This approach can be made in any color scheme. Contact us for personal service. *Nothing is for sale here. We have marked $1 so that the image will enlarge when you click.